MOMENTS is an Icelandic play, originally written for radio by Starri Hauksson. It was aired on RUV’s Channel 1 in 2008, to critical acclaim. I listened to it back then and the characters played around in my head for a while afterwards, which is always a good sign. 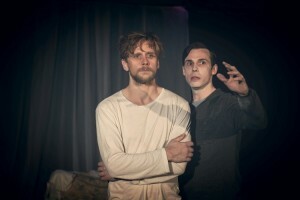 Now MOMENTS has found its way to London, put on stage by a company made up of young Nordic theatre professionals who have combined their skills and ambitions to create this fantastic piece of authentic Icelandic theatre, performed by an all Icelandic cast, in both English and in Icelandic (with subtitles). The story follows a young man named Andri who, after a tragic loss, has withdrawn from society and seemingly given up on life. 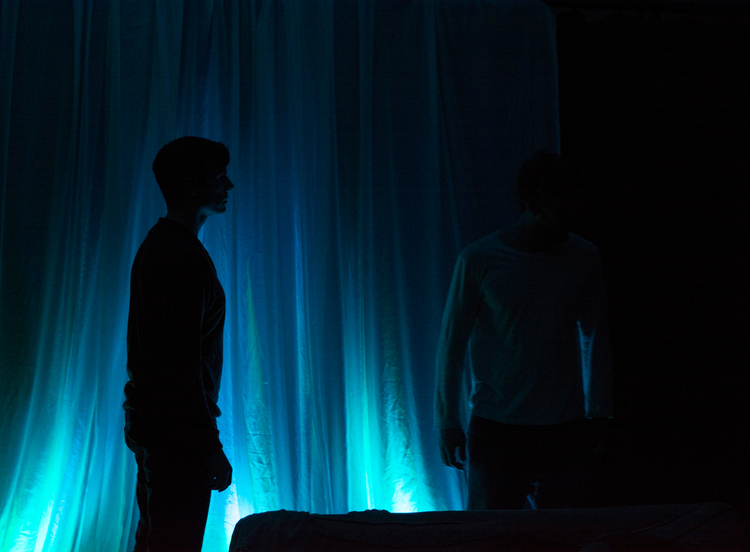 We watch as Andri struggles with the ghosts from the past, as well as his own existence and relationships in the present. The play, set in modern day Reykjavík, addresses the subject of family, loss and forgiveness with brutal honesty, revealing the imperfections and raw vulnerability of the human mind and being. Performances are at the Drayton Arms Theatre in South Kensington until October 31st, at 8pm and 3pm for Saturday matinees, excluding Sundays and Mondays. Reviews have been positive so far, you can read it here and here.